What do you think is the most popular New Year’s resolution for this year – and pretty much every other year? It’s to get a six-pack! But the truth is: They are doing it all WRONG! Doing hundreds of crunches – over and over again – will NOT get you’re the flat midsection you’re dying to have. So what happens then? You lose all gumption…you lose your motivation…you quit when you’re just getting started! I am going to give you a blueprint – one that if you use it in combination with a bulletproof diet – then you too, could have the flat midsection or rippling six-pack to show the world! If you search the internet, over 3,000,000 results will come up in regards to getting a six-pack. Some of the tips are good…while others may not be so good. 1) Eat a healthy diet – this is the most crucial step in stripping away the small – or thick – layer of fat that is covering your belly. You should be focusing your efforts on lean cuts of meat, whole fruits and vegetables, essential fats (coconut oil, olive oil, and Krill oil), and plenty of healthy carbs. These foods may go a long way to boosting your metabolism and stripping away the fat that is covering your six-pack. 2) You need to exercise – this is another crucial step in the six-pack process. Now, before you think your exercise plan should contain hundreds – if not thousands – of crunches, think again! There are plenty of other exercises that you may be able to do that could lead you to a stronger core and lower back. And this could eventually lead to a six-pack! So what exercises should you do? Well, you should be focusing on exercises that help stabilize your and build strength in your lower back, hips, abs, and all the other supporting muscle groups. This is one of the most fundamental exercises that taxes almost every muscle in your body – but especially the core. The best part of the plank: Anyone can do them! Some may have to start at a different point them others, but most people should be able to the plank for developing the core. The plank is an exercise that can be changed to make it harder (feet position) or to put stress on different areas of the core (1-arm plan reach). First, you should start in the push-up position (can be done from the knees as well). Bend your elbows so they are at a 90 degree angle with your weight now resting on your forearms. Now , straighten your legs so you are in full push-up position with your hips parallel to the floor, with your body in a straight line from your head to your feet. Tuck your belly in towards your spine and maintain a tight core throughout the exercise. For beginners, you should focus on holding it as long as you can, It could be 10 seconds or 30 seconds, whatever the time, you’re working on getting your core stronger which will help with almost every aspect of your life. But what happens if you can’t hold it for a long time? The more you practice and the more you do it, the stronger your core will become. And an easier time doing every day activities like playing with your kids or going hiking! First, in order to get a flatter belly you need to include the right foods in your diet. No sugar…no processed junk…and no additives of any kind (including HFCS). Then you need to exercise! A program that includes strengthening, cardio, high intensity training (not for everyone), and flexibility is a great, well-rounded workout. If you notice, I didn’t mention crunches or sit ups! If you want to maintain a strong core – one that fat melts off of – you should include the plank into your exercise program. This is one of the BEST exercises for developing the core WITHOUT putting an abundant amount of stress on crunches. This one exercise could make everything in your body stronger – including your abs! So, if you want a flat belly, start using these helpful tips today! Oatmeal is a solid, healthy option for breakfast. Period. However, when I say, “Oatmeal”, I mean the ‘real stuff’. Not the heavily processed, flavored, instant ‘oatmeal’. That stuff is absolutely TERRIBLE for you. Don’t believe me? Look at the ingredients on a box of the ‘instant oatmeal’ vs regular oats that require 30 minutes of cooking. You can’t count the number of ingredients in the instant oatmeal on two hands! 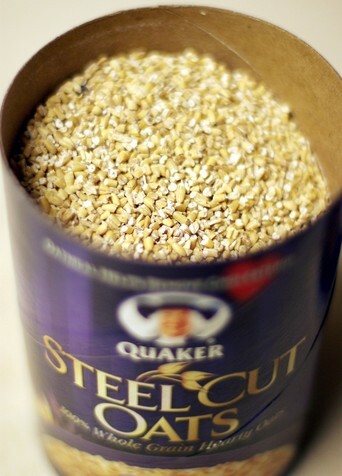 But you only need one finger to count the number of ingredients on say, steel cut oatmeal – OATS. While any form of oatmeal will be ‘heart healthy’, the fiber in the instant oatmeal packets will not be very soluble, therefore unusable in the way they were meant to be utilized by the body. For example, take a look at a brand of “heart-healthy” instant oatmeal (their claim), the “Maple and Brown Sugar” flavor. It took about nine months, 27 re-writes, and many late nights, but I received the first set of printed copies of my book! For me, it was surreal moment. Less than two years ago, I was invited to participate in my first mud run – the Tough Mudder. Not the most ideal way to be introduced into the world of mud running, but there it was – my challenge. For a 200lb+ power lifter, this was no easy task. Yet, I completed it and had a blast! I would never have guess that a book about how to prepare for it would’ve come out about it! I’m excited to be able to share all the information I’ve accumulated while completing the Tough Mudder (twice), the Spartan Trifecta (twice) and many other cool mud runs like the Warrior Dash, the Gladiator Rock n Run, et al. “Mud Running? 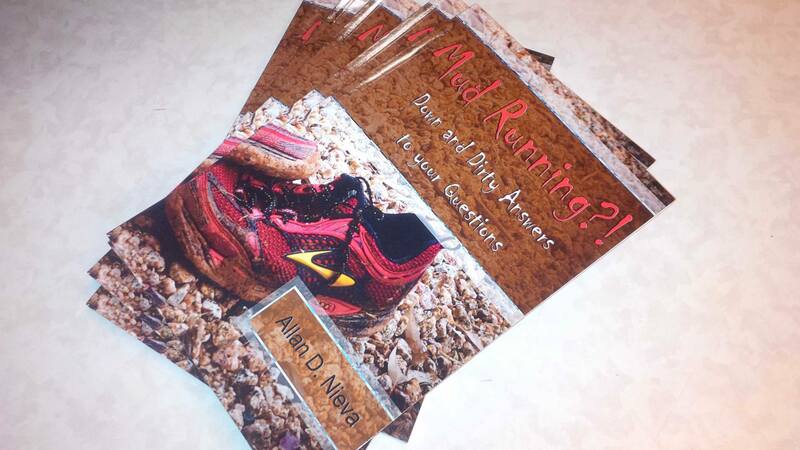 !” answers so many of the questions people have as they prepare for their first mud run. It’s a crazy thought to find that no one else has put this down on paper, until now! Here’s the Table of Contents! What Do I Do With My Clothes? It’s priced around $10 on Amazon, so after printing costs, distribution costs, and Amazon’s take, I receive about 50 cents/copy. That’s ok with me. My biggest desire was to get this information out there to first-time mud runners! I hope you are all enjoying the day today. A friend of mine forwarded this to me and I wanted to share it. If you’re training for a mud run and absolutely *have* to have this, then I hope it’s your cheat day! This is pretty horrible, as far as nutrition is concerned, but if you’re going to just get it on a whim, then you might want to consider the nutritional information about it. It’s eye-opening, but I’d rather know than not know. It’s hard enough figuring out the right foods to buy at the grocery store when you’re working on staying healthy. However, one of the things we rarely think about are condiments. We get to the aisle, shrug, grab what we like or what we think is best. However, Mike Geary, Certified Nutrition Specialist, Certified Personal Trainer, and Author lays out the top 5 healthiest and the top 5 not-so-healthy condiment choices. With processed refined soybean oil as the main ingredient in most mayos, there’s NOTHING healthy about mayonnaise. It causes internal inflammation and harms your omega-6 to omega-3 balance with excess omega-6 fats. Tartar sauce has the same issues as mayo. If you can find a mayo made with 100% olive oil instead of soybean oil, this would actually be a healthy choice. Yes, ketchup is made from tomatoes so it does contain the beneficial nutrient lycopene. Unfortunately ketchup has a high % of sugar, and most brands are made with nasty high fructose corn syrup. Not good. Hey, I’m a ketchup lover myself, but I just try to keep the quantity small to minimize the sugar intake. BBQ sauce is actually worse than ketchup because it has higher levels of sugar or HFCS and lower levels of actual tomato. Strike 3 with BBQ sauce. There’s not much healthy about most store bought salad dressings…most contain HFCS and soybean oil or unhealthy canola oil as the main ingredients. Add a little bit of onion powder, garlic powder, and black pepper and then shake the container to mix all ingredients well. 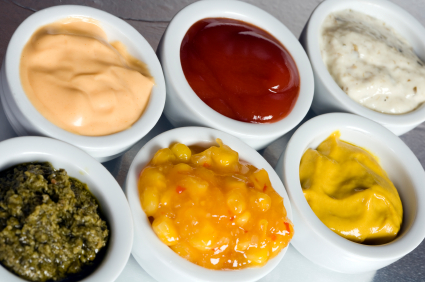 So, what are the top 5 healthiest condiments? That’s right… mustard is absolutely one of the healthiest condiments! 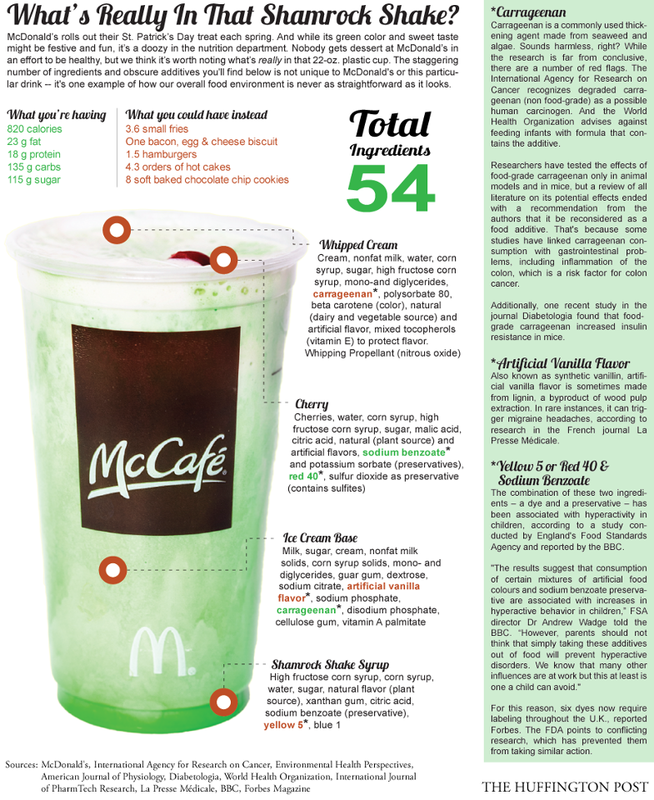 First, it has no added sugar. Also, mustard seed itself is a source of powerful antioxidants. In addition to the antioxidants in the mustard seed, most yellow mustards also contain turmeric (one of the healthiest anti-cancer spices) and paprika, which both contain powerful antioxidants as well! I know, I know… when do I ever stop talking about avocados and guacamole. Sorry, it’s one of my favorite foods, and I eat avocados or guacamole just about every single day. At this point, I don’t think I need to explain why Gaucamole is healthy, as I think everybody knows this by now… but a quick recap: lots of healthy fats (that satisfy your appetite and regulate hormone balance), lots of fiber, and plenty of vitamins, minerals, and antioxidants. And creamy guac just makes anything taste better! I put it on eggs, on burgers, on chicken or fish, or just eat it with veggie sticks. If you buy pre-made guac from the store, just be sure to check the ingredients and make sure it doesn’t have added trans fats or other artificial ingredients. But it’s so simple and fast to make fresh guac, I don’t know why anybody would buy pre-made guac. Although ketchup was on the unhealthy list due to the sugar content, salsa makes the super healthy list as it almost never has added sugars if you get a good brand. Salsa is mostly just vegetables so it’s hard to go wrong. I like it on my morning eggs for variety sometimes. I also like to mix salsa half and half with guacamole for a delicious party treat! And if you’re a ketchup lover and want to reduce your sugar intake, just try salsa instead for a much healthier option. Trust me… salsa on a burger is just as delicious as ketchup on a burger. Just remember that the corn chips that people generally cram down their throats with salsa are NOT even close to healthy. Corn chips are almost always fried in a heavily refined omega-6 oil such as corn or soy oil, and are inflammatory. Plus, most corn used for corn chips is genetically modified. Organic corn chips are a small step in the right direction (this ensures it’s not GMO corn), but I’d still try to keep the quantity small if you’re going to eat corn chips with salsa. Hummus is mostly just chickpeas, tahini, garlic, lemon, and olive oil, and is easily one of the healthiest condiments or as a separate snack by itself. The main thing to look for when buying a good hummus is to make sure it’s made with olive oil and NOT soybean or canola oil. Unfortunately most brands use cheap soy or canola oil, but if you’re a label reader, it’s easy to find a brand that uses solely olive oil. One of my favorite snacks is just veggie sticks with hummus. However, hummus is also a delicious condiment to go with sandwiches, on top of meat dishes, etc. Pesto is generally a mashed mix of garlic, pine nuts, basil, olive oil, and grated cheese. It’s a great source of healthy fats and also powerful antioxidants, mostly from the garlic and basil, but to some extent from the pine nuts and olive oil too. Pesto goes incredibly well with sandwiches, on meat dishes, or surprisingly, even on eggs. What about hot sauce? Actually, hot sauce is fairly healthy. Most hot sauces don’t have added sugars. And the hot peppers are actually good for you too and could even cause a slight and temporary metabolism increase. The only drawback to most hot sauces is a moderately high sodium content. But unless you go nuts with loads of hot sauce on every meal, the sodium content in hot sauce will not be an issue. So now that you know 5 of the healthiest condiments, don’t be afraid to indulge next time you need one of these tasty additions to your meal. Why is it that advice on healthy eating usually seems to center on what not to put in our mouths? With the endless ways we’re taught to limit calorie intakes and watch out for “bad” fat and carbohydrates, it’s almost easy to forget that there’s a whole world of foods out there that don’t threaten to give you heart disease, diabetes, or an expanded waistline. Rather than focusing on what you shouldn’t eat, let’s take some time to focus on a few beautiful, flavorful, and health-building foods you should eat—specifically, foods rich in phytonutrients, the naturally occurring pigments that lend color and chemical protection to the plant kingdom, while also offering astounding health benefits. Scientists have categorized classes of phytonutrients that offer different properties and benefits and it just so happens that many of these classes are represented by their colors. So read on and discover why becoming a connoisseur of the plant-based nutrient spectrum is a brilliant strategy that will help to preserve both your health and physical charm. Blue/Purple – Anthocyanins are flavonoids that act as powerful antioxidants, neutralizing free radicals that cause aging and degenerative disease. There’s even a connection between this phytonutrient and decreased visceral (abdominal) fat! A 2008 study from Chubu University in Japan found a link between anthocyanin intake and reduced incidence of metabolic disorders, including abdominal weight gain, hypertension, and impaired glucose and insulin metabolism. True, blue anthocyanin sources include red cabbage, blueberries, blackberries, acai berries, cherries, grapes, blue potatoes, eggplant, and radicchio. Orange/Yellow – Multiple studies indicate that diets rich in beta-carotene lower the risk of cardiovascular disease and some types of cancer. This amazing phytonutrient falls into the carotenoid class that (along with the flavonoid group) has been credited in a 2010 Tufts University study for providing photo protective and antioxidant action in the skin. In short, these inflammation, wrinkle, and cancer preventing nutrients protect your skin from the inside out! To get a bit of beta-carotene, try sweet potato, carrots and carrot juice, winter squash, pumpkin, and cantaloupe. Red – Lycopene has been in the news a lot lately for its positive influence on prostate health, but it’s also thought to prevent cervical dysplasia in conjunction with other carotenoids. In other words, it’s also good for the uterus, making it an equal opportunity nutrient. In addition, a 1996 University of Minnesota study found a significant increase in longevity based upon the blood lycopene levels of nuns living the same lifestyle, in the same conditions. If you’re ready to get into the red, try tomato and tomato products, watermelon, pink grapefruit, guava, and papaya. Yellow/Green – The light absorbing properties of lutein are associated with eye health involving a decrease in cataract formation and macular degeneration. Mellow, yellow lutein sources include spinach, kale, collards, mustard and dandelion greens, summer squash, and pumpkin. Green – Chlorophyll’s abilities to bind toxins and decrease oxidative stress make it a powerful bodily detoxifier and explain how it can actually reduce body odor. You’ll be seeing green with chlorophyll sources like spinach, kale, Swiss chard, arugula, green beans—any green vegetable. The darker, the better. Green/White – Another detoxifier, sulphoraphane is part of the isotheocyanate class of phytonutrients that has been cited in multiple studies as a cancer preventative and detoxifier of carcinogens. Some super sulphoraphane sources include broccoli, brussels sprouts, broccoli sprouts, cabbage, bok choy, cauliflower, and watercress. White – The anti-inflammatory and antimicrobial qualities of allicin lend to its reputation as an inhibitor of heart disease and gastric cancer as well as a potent immune booster. All-around awesome allicin sources include garlic, onion, leek, shallot, and chives. The possibilities are endless when it comes to polychromatic eating. Use a food processor to quickly shred red cabbage and brussels sprouts into an easy chopped salad with pomegranate seeds, blanched almonds, and a homemade lemony dressing, or gently wilt kale or Swiss chard in olive oil with garlic, onion, and thinly sliced yellow bell pepper. Spiced sweet potatoes or winter squash bake in less than 40 minutes for a simple, energy-boosting carbohydrate serving. Fruit and leafy green packed smoothies are a fantastic way to throw together a quick, nutrient dense breakfast. The most common comment I hear from people who train with me is something to the effect of, “I can’t stop eating bad food”. Hey, it’s a struggle many of us have, myself included, which is why I wanted to share this article written by Denis Faye. It gives a good perspective and plan to help with how to deal with the cravings. Luckily, a well-trained body goes a long way towards helping a slightly off-kilter mind. For example, if I were to force down that aforementioned slice of Sara Lee® heaven, I’d get physically sick. After years of clean eating, my digestive system has lost its ability to handle the toxic effects of a sugar hit like that, not to mention the preservatives and additives. Thanks in part to these newfound “limitations,” today I can walk away from the cake or limit myself to one or two bites—but that’s taken years of training. You might be one of those lucky souls who just decided to walk away from the candy counter and never looked back. Good for you. I’m not one of those people. Eating right is much easier than it was 20 years ago, but it’s still a process. That said, the rewards are innumerable, so why don’t you set down the pudding pop, grab a peach, and join me? Lally, P., Van Jaarsveld, C., Potts, H., & Wardle, J. (2010). How are habits formed: Modelling habit formation in the real world. European Journal of Social Psychology, 1009 (June 2009), 998-1009. JOHN WILEY & SONS LTD.
Landgren, S., Simms, J. A., Thelle, D. S., Strandhagen, E., Bartlett, S. E., Engel, J. A., & Jerlhag, E. (2011). The Ghrelin Signalling System Is Involved in the Consumption of Sweets. (M. Mattson, Ed.) PLoS ONE, 6(3), 9. Yes, I know I just posted an article about how to ‘get through Thanksgiving dinner’ but, honestly, I won’t apply most of that information to myself. 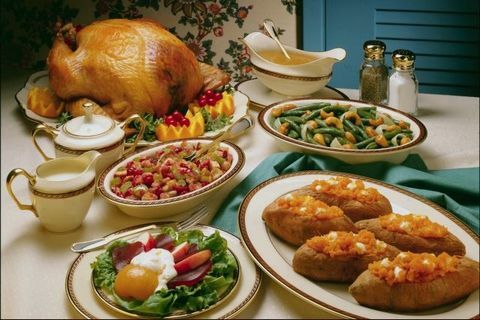 During the holiday seasons, so much time and energy is spent thinking about what to eat, what not to eat, how much or how little to eat at the celebration table. Honestly, I know how frustrating it is when we’re so focused on the food and not the reason we’re coming together during these times. For many of us I understand that we need to watch what we eat and that Thanksgiving or Christmas or New Years shouldn’t be a time to ‘betray our diets’. I understand that. But really, for those of us who have been ‘eating clean’ all year (or even just the past few months), enjoying a large meal one day after all this time isn’t bad. Or, it isn’t as bad as we make it out to be in our heads. Our focus during this time should truly focus on the joy and happiness and goodness (for lack of a better word) of the holidays instead of trying to feel better about work you did not put in the other 360+ days of the year. Thanksgiving is by most all accounts a meal… maybe two (or in my case, four or five). So… Eat! It isn’t the meal that will destroy you. If you have consistently responsible with your diet year round, one day of just enjoying food and good company is not terrible. In all actuality, the food you take in is probably fresher, cleaner, and better for you than any of crap you eat out of the vending machines or even some of the snacks you sneak in during the work day. I’m on shift today and I’m enjoying our Thanksgiving meal(s) today with the crew when we can (ie. between missions). Yes, I will be eating a lot of food. I normally do – but it is not about the food as much as it is about just enjoying the time. I plan for it as part of my training regimen – it just feels good to enjoy good food. Food was meant to be be enjoyed, not feared. The simple act of enjoying a celebratory meal is good for your mind and soul. These are times to enjoy with good company – to reflect on what you’re truly thankful for and… to enjoy eating! If you’ve ever tried to lose a few pounds, you’ve probably been inundated with diet tips. But take them all with a grain of salt—some advice may sound legit but can actually derail your diet. Here are 10 tips you don’t want to follow. BETTER ADVICE: Don’t believe the hype. “They usually use fat and sodium to replace sugar, and sugar to replace fat—or chemicals to replace both,” says Denis Faye, Beachbody’s nutrition expert. 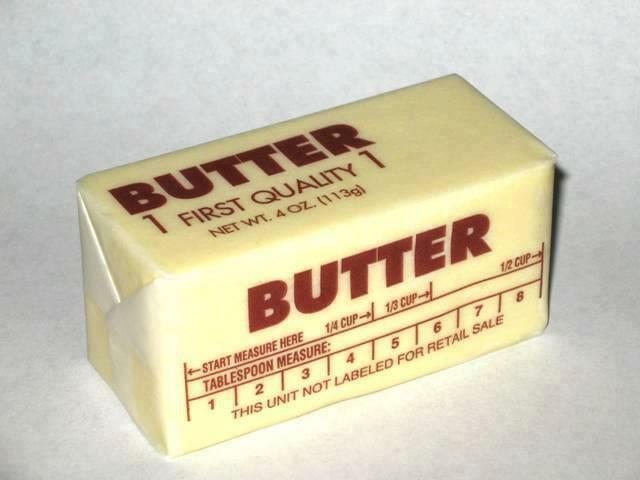 And Rania Batayneh, MPH, a nutritionist and author of the upcoming book, The 1:1:1 Diet, adds, “Removing fat from a food makes it less satiating, so you ultimately may end up eating more.” Stick with the original versions, and watch your portions or better yet, eat more unprocessed foods. 2. BAD ADVICE: No cheating ever! BETTER ADVICE: Relax your diet rules, and you’ll be more likely to stick it out long-term. “If 80% of your diet is tight, then 20% can be a party,” Faye says. “It keeps you from getting stressed—and stress is a huge obstacle in weight loss.” Just plan your splurges ahead of time so you’re not giving in to every temptation that crosses your plate. 3. BAD ADVICE: Stop snacking. BETTER ADVICE: Choose snacks that offer a balance of protein, fiber, and healthy fats—like apples with peanut butter, or carrots with hummus. “A healthy snack can help maintain steady blood sugar levels, which keeps your appetite in check and your energy stable,” Batayneh says. Skipping a snack can cause your blood sugar to dip, leaving you moody and famished—and more likely to overeat at mealtime. 4. BAD ADVICE: Don’t eat fruit—it’s full of sugar. BETTER ADVICE: Let fruit satisfy your sweet tooth. “Yes, fresh produce is full of sugar and carbs,” Faye says. “But sugar itself is not the enemy. Fruit is packed with vitamins, minerals, and phytochemicals; it’s also rich in fiber, which slows the absorption of sugar. I’ve never met a human being who got fat because of bananas.” When you’re craving sugar, there’s no debate that a handful of grapes is healthier than a hot fudge sundae. 5. BAD ADVICE: If it’s organic, it’s good for you. BETTER ADVICE: According to the USDA, organic food is produced without antibiotics, growth hormones, conventional pesticides, and synthetic ingredients.1 The problem is that many people assume organic foods are all low in calories, too, which isn’t necessarily true. Don’t get us wrong—we’d rather eat food that doesn’t resemble a science experiment. But, Faye cautions, “You need to use common sense. If it’s bad for you with conventional ingredients, it’s still bad for you when it’s organic.” A cookie is a cookie, no matter how all-natural it is. 6. BAD ADVICE: Calories in, calories out—it doesn’t matter what you eat. 7. BAD ADVICE: Try XYZ Extreme Diet—it works for everyone! BETTER ADVICE: Find a plan that works for you. Gender, age, genetics, metabolism, and lifestyle can all play a role in weight loss—so even if a fad diet has worked for others, that doesn’t mean you’ll get the same results. “There’s no single diet that works for everyone; our biochemical needs are different,” Faye says. Talk to a dietitian or nutrition consultant to find a long-term eating strategy that is tailor-fit to you. 8. BAD ADVICE: When in doubt, order the salad. BETTER ADVICE: Choose your greens wisely. Leafy greens and vegetables may be virtuous, but not if they’re slathered in creamy dressing and topped with bacon, candied nuts, croutons, deli meats, or cheese. “Fatty fixings can add hundreds of calories to your meal, and sometimes contain more calories than that juicy burger!” Batayneh says. Salad can be a healthy choice, but order dressing on the side and limit the add-ons. 9. BAD ADVICE: Don’t exercise—it’ll only make you hungrier. 10. BAD ADVICE: Treat yourself for a job well done! BETTER ADVICE: Rethink your reward system. After an intense workout, you may feel like you’ve earned a cocktail or cupcake. But splurging after every workout can quickly undo all your hard work. If you’ve been good all week, go ahead and grab a guilt-free beer on Friday. 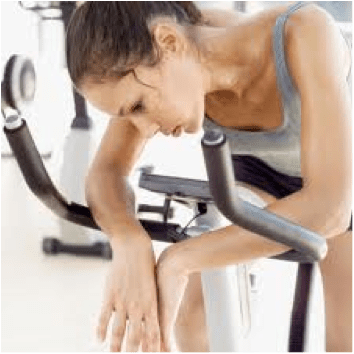 But, Faye says, “Don’t let every workout become a Pavlovian thing where you need to eat cake afterwards.” After all, the best reward for a killer workout is getting one step closer to the body you want.